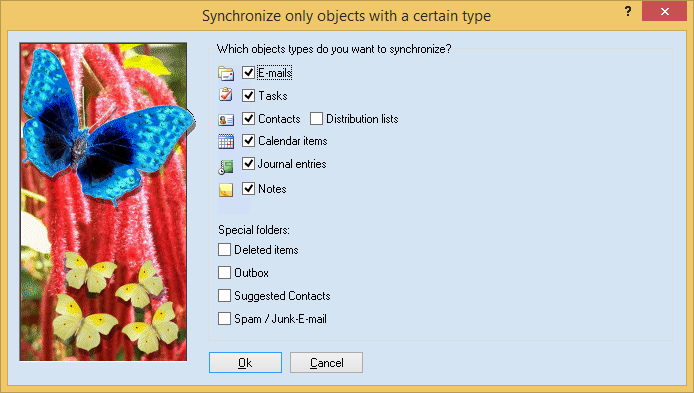 With this filter you exclude objects from the sync if they don't have a certain type. For example to exclude all contacts from the sync. • Sync of the folder "Delete items"
• Sync of the folder "Outbox"